California stretches nearly 900 miles along the Pacific Ocean, from the Mexico border all the way up to the Oregon border.. It’s no surprise that California boasts some of the largest, entertaining, and picturesque cities that the United States has to offer. From San Diego and Los Angeles to San Francisco and Sacramento, visitors will be treated to pristine sandy beaches, world-class accommodations, and some of the planet’s top attractions. Los Angeles, sometimes referred to as the ‘City of the Angels,’ or ‘La-La Land,’ is a magical Southern California city that is filled with award-winning restaurants, designer boutiques, and A-list celebrities. The neighborhood of Hollywood is an industry leader in all things entertainment and is the crown jewel of Los Angeles, receiving millions of visitors each year from all over the world. Los Angeles is also home to some of the best amusement parks in the United States, including Disneyland, Universal Studios, and Six Flags Magic Mountain. Visitors should make it a priority to check out the Hollywood sign, Santa Monica Pier, and the famous Beverly Hills. San Diego is Southern California’s largest city near the United States/Mexico border; it’s situated approximately 17 miles north of Tijuana, Mexico. The city is famous for its pristine beaches, incredible surf, award-winning Baja-Med cuisine, and all-around laid-back vibes. From Little Italy to La Jolla to Hillcrest to North Park, visitors will appreciate the city’s numerous diverse neighborhoods that each provide their own unique experience. 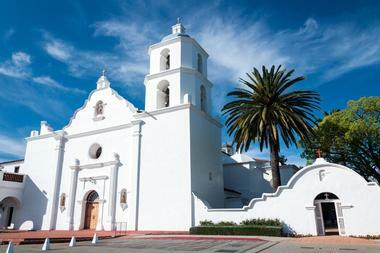 San Diego is a city brimming with attractions, some of which include Sea World, the San Diego Zoo, and Balboa Park. It is also home to several world-renowned events each year that visitors should watch for, such as Comic-Con, the San Diego County Fair, and the PGA Farmers Insurance Open. 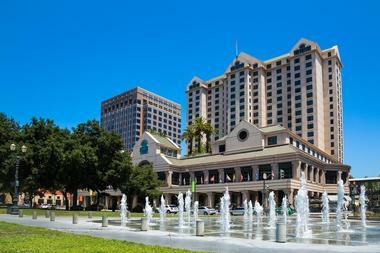 Located in Northern California’s Bay Area, San Jose is a beautiful city that is surrounded by sprawling hills within the major technology hub of Silicon Valley. The city’s downtown historic district features architectural landmarks that range from Spanish Colonial Revival structures to the 1883 Italianate-style Oddfellows building. 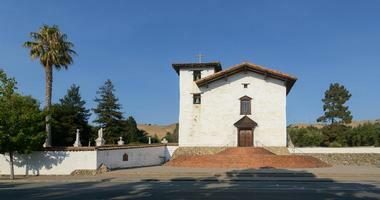 San Jose is home to a number of popular attractions that include the Cathedral Basilica of St. Joseph, Santana Row, the San Jose Museum of Art, and the Tech Museum of Innovation. Visitors will appreciate the city’s mild and sunny weather, making it an idyllic location for outdoor recreational activities, such as kayaking, mountain biking, and hiking. 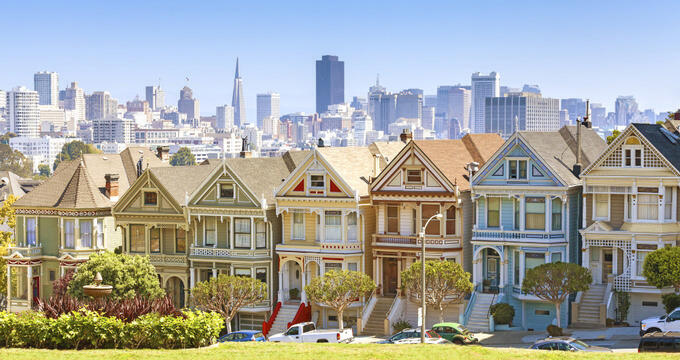 San Francisco is a marvelous city that is situated at the very tip of a small peninsula between the San Francisco Bay and the Pacific Ocean in Northern California. The city is known for its large hills, colorful Victorian houses, cable cars, year-round marine layer, and iconic Golden Gate Bridge. Visitors can take ferry trips to Alcatraz Island where they explore the former site of the notorious prison that once housed famous criminals like Al Capone and George Celino Barnes (Machine Gun Kelly). 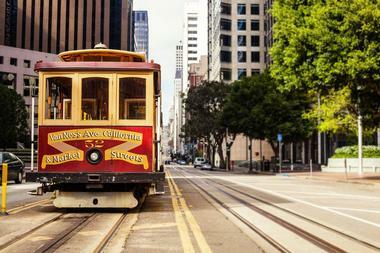 A visit to San Francisco is not complete without a ride on the iconic cable cars, a trip to Chinatown, and visit to Fisherman’s Wharf – a waterfront neighborhood with sensational seafood stalls, steaming crab cauldrons, and historic ships. Fresno is a Central California city that is situated within the San Joaquin Valley, roughly 60 miles from four US National Parks; Sequoia, Kings Canyon, Sierra, and Yosemite. The city is plays host to a variety of colorful festivals and events throughout the year that include the Tower District Mardi Gras Parade, Musick Mountain Blues Festival, Big Fresno Fair, and Fall Wine Cornucopia. Fresno is a shopper’s paradise with its numerous shopping malls and areas, such as Fashion Fair Mall, Fulton Mall, and the Fig Garden Village. The Fresno Chaffee Zoo, Forestiere Underground Gardens, and Woodward Regional Park, are just a few of the city’s favorite attractions that visitors will want to add to their list. 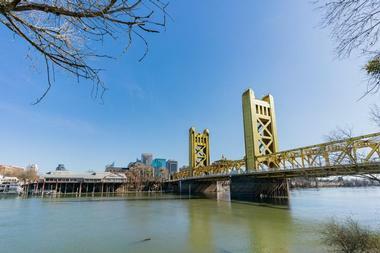 The capital of California, Sacramento is a city that is situated along the meeting point of the American and Sacramento Rivers, approximately 90 miles northeast of San Francisco. Old Sacramento Waterfront offers a wonderfully unique experience with its historical attractions, wild entertainment, farm-to-table dining, shopping, and live music, all along the picturesque Sacramento River. Visitors will have no trouble finding bountiful farmers’ markets, or home-grown breweries, or beautiful street murals while perusing the streets. The city is always humming with things to see, taste, and savor. Sacramento is also home to several excellent museums, including the California State Railroad Museum, Crocker Art Museum, and California State Capitol Museum. 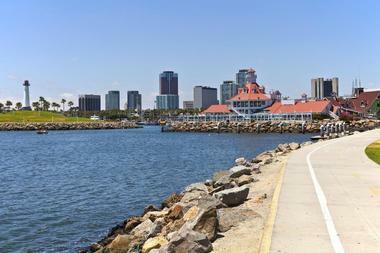 Long Beach is a coastal port city located in Southern California, about 23 miles south of Los Angeles. From sandy beaches to eclectic neighborhoods, visitors will find everything they long for in this urban waterfront playground. Moored in Queensway Bay, The Queen Mary Hotel is a retired art deco-designed ocean liner that features special exhibitions and historic tours, along with 347 spacious staterooms and elegant suites, sensational restaurants and a Sunday Brunch, shops, meeting facilities, a spa, and Pacific Ocean views. Visitors will also want to explore Naples Island, the Aquarium of the Pacific, and the picturesque Santa Catalina Island via the Catalina Express. Oakland is a Northern California city that is situated along the eastern shores of San Francisco Bay, directly across the bay from the city of San Francisco. Near Chinatown, visitors can explore exhibitions relating to art, nature, and state history, at the Oakland Museum of California. The city’s Uptown area features the art deco Paramount and Fox theaters, along with impressive art galleries, trendy bars, and renowned restaurants. 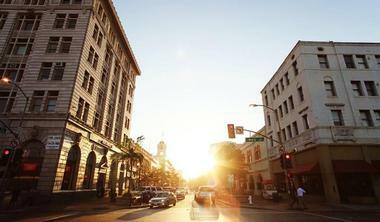 Oakland is a city with tons of charm, especially when it comes to its restored Victorian boutiques and architecture. 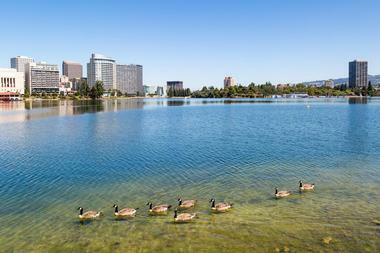 Visitors will want to check out the Oakland Zoo, Lake Merritt, Cabot Space & Science Center, and Redwood Regional Park. Bakersfield is a Central California city that is situated on Kern River in the San Joaquin Valley, approximately 110 miles north of Los Angeles. The city began as an agricultural trade center for the Owens Valley and Sierra Nevada mines in the 1870s. Now dubbed “Nashville West,” Bakersfield has been a major contributor in the country music scene, and is home to several recording artists, including Buck Owens and Merle Haggard. 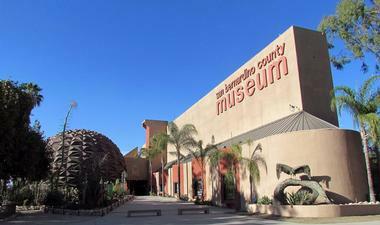 Exhibitions at the Buena Vista Museum of Natural History are focused on paleontology and geology. On the northeastern edge of the city, visitors can explore the California Living Museum – a museum dedicated to California’s flora and fauna. Home to the world-renowned Disneyland Resort, Anaheim is a Southern California city that is situated just southeast of Los Angeles. Disneyland is a massive park of family-friendly, themed rides, hotels, shops, and restaurants. 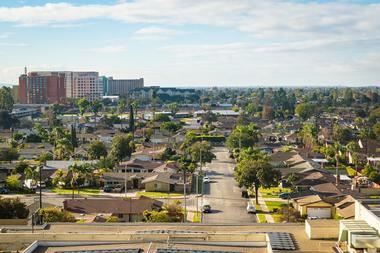 Anaheim has grown to become much more than just the destination of a famous theme park. Visitors can explore Center Street, ride BMX or skateboard at the Vans Skatepark, take trapeze lessons at SwingIt, catch an NHL Ducks game or MLB Angels game, or take the whole family to popular Medieval Times. Visitors will definitely want to explore the Anaheim Packing House – a historic citrus packing warehouse that has been transformed into one of the greatest, original American food halls. 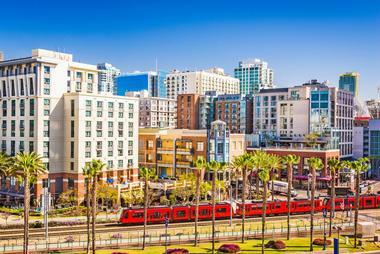 One of the largest cities in Orange County, Santa Ana isn’t known for being showy, but is recognized as a city with a strong foundation for work ethic. The city’s artsy and cultural downtown region is home to a fun-and-funky collection of theaters, boutiques, galleries, and sidewalk cafés. Well-known for its artistic side, visitors can peruse the city’s Artists Village, which is anchored by Cal State Fullerton’s Grand Central Art Centre. Visitors should also check out the beautiful central courtyard at the Second Street Promenade, filled with arching trees and bubbling fountains. Santa Ana features a couple of fascinating museums that should not be overlooked, the Lyon Air Museum, and Bowers Museum of Cultural Art. Riverside is a Southern California city that is situated nearly 55 miles straight east of Los Angeles. This city is overflowing with history. 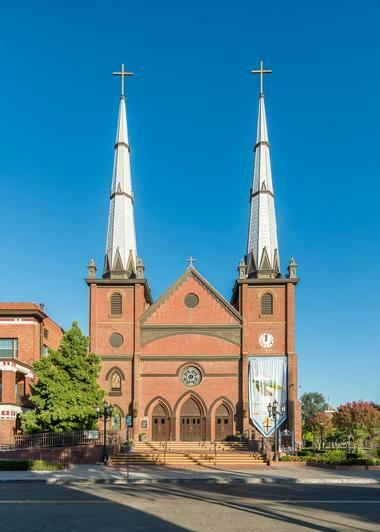 The downtown area is home to over a dozen sites that are listed on the National Register of Historic Places, and at least 30 city-designated landmarks. 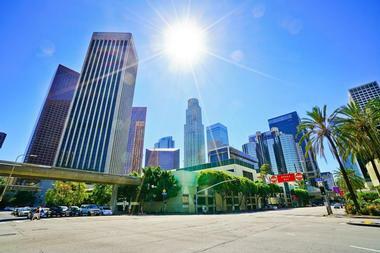 A walking tour through downtown offers visitors an arbor-and-tree-shaded trip that includes views of architecturally historic buildings along the way, including examples of Beaux Arts, California Bungalow, Mission Revival, and Spanish Colonial Revival. The city is perhaps known best for the Mission Inn Hotel & Spa, an iconic hotel and spa that has been operating for over a century. Stockton is a Northern California city situated approximately 50 miles straight south of the state’s capital city, Sacramento. This city offers everything from summer concerts at Victory Park to bountiful farmers’ markets to historic walking tours. Stockton is located on the San Joaquin River, providing easy accessibility to water activities that include kayaking, rafting, paddle boarding, boating, and fishing. 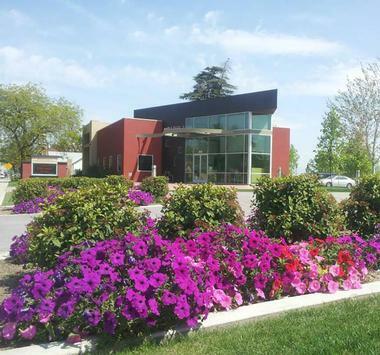 Stockton has a variety of fun and exciting attractions for visitors to explore, such as The Haggin Museum, Historic Bob Hope Theatre, and Children’s Museum of Stockton. Visitors should also check out Oak Grove Regional Park, equipped with a nature center, hiking and walking trails, and a shimmering lake. Chula Vista is a Southern California city that is located in San Diego’s metropolitan area, about 10 miles south of its downtown neighborhoods. The visitors and residents of Chula Vista have unrivaled access to many of San Diego’s unique neighborhoods, and are just minutes from the United States/Mexico border, where they can enjoy quick daytrips to Tijuana, Rosarito Beach, and Ensenada, Mexico. Chula Vista is well-equipped with a variety of activities and attractions for locals and visitors to enjoy, including Aquatica – SeaWorld’s Waterpark, The Living Coast Discovery Center, Mattress Firm Amphitheatre, OnStage Playhouse, and Chula Vista Elite Athlete Training Center. 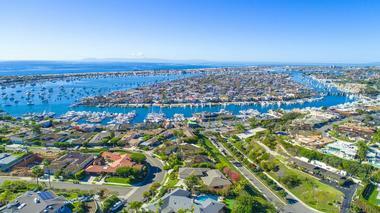 Irvine is a near-coastal city that is located in Orange County, California, just east of Newport Beach. Master-planned to be one of Southern California’s economic powerhouses, Irvine is also committed to offering unrivaled quality of life for its residents and visitors. The city is equipped with a business center containing over 100 global corporations, 16,000 acres of well-manicured parks, dedicated open spaces and sports fields, and miles of biking and hiking trails. 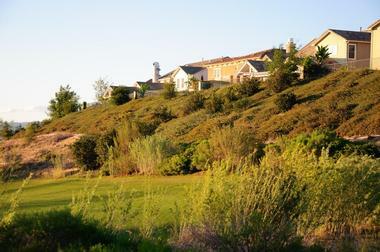 Irvine is a place where business, community, and nature all come together in perfect harmony. 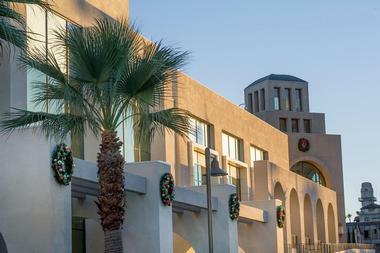 Visitors can shop at the Irvine Spectrum Center, race exotic cars at Xtreme Adventures, or enjoy relaxing walks at the San Joaquin Wildlife Sanctuary. Fremont is a Bay Area city that is located at the southeast end of the San Francisco Bay, just south of Oakland and Union City. Despite its rapid development as a major technology hub, Fremont enjoys the charm and amenities of a cozier, smaller-scale suburb. 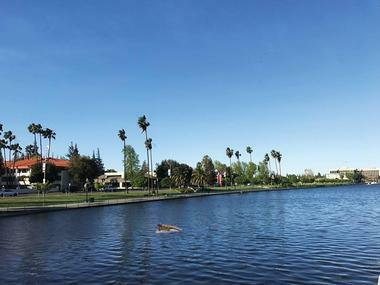 Positioned at the center of Fremont’s intimate urban core is the expansive Central Park, featuring 83-acre Lake Elizabeth, and a beautiful lagoon with a nature habitat. The park also has facilities for basketball, tennis, soccer, and softball, plus a driving range and golf course. Visitors should add the Niles Essanay Silent Film Museum and Museum of Local History to their list of places to explore. Few places on the planet provide travelers with the opportunity of experiencing all four seasons like San Bernardino, California. With the San Bernardino Mountains situated directly north and northeast of the city, and the shimmering Pacific Ocean less than two hours away, residents and visitors really get the best of both worlds. Travelers can explore the San Bernardino History & Railroad Museum, bring the kids to the Glen Helen Regional Park, or enjoy a little indoor cart racing at SB Raceway Indoor Karting. Locals and travelers alike should visit Deep Creek Hot Springs, which features approximately seven pools with temperatures that range from 100 up to 105 degrees Fahrenheit. Modesto is a vibrant city that is proud of its educational opportunities, great traditions, and multicultural lifestyles, but most of all, its citizens. The city boasts relatively mild weather year-round, and is home to some of the country’s richest soil. 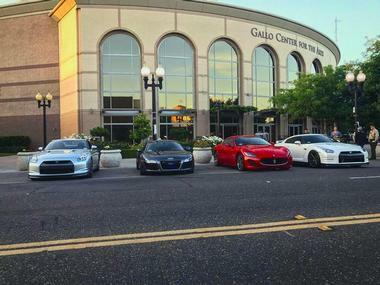 Modesto offers the facilities and diversity of a larger metropolitan city, while maintaining old-fashioned hospitality. The city is situated within one of the country’s top agricultural areas – the San Joaquin Valley. Poultry products, wine grapes, fruits, nuts, and dairy products are among the area’s top commodities. 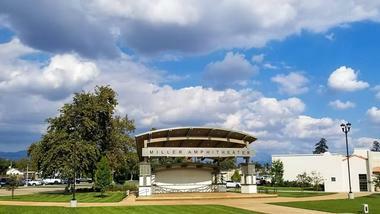 The McHenry Museum, Gallo Center for the Arts, and Great Valley Museum, are just a few of the city’s many attractions that visitors should take time to explore. 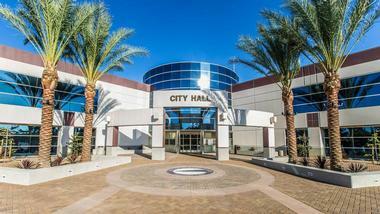 Fontana is a Southern California city that is situated just west of San Bernardino and north of Jurupa Valley. Nestled against the San Bernardino Mountains, the city provides residents and visitors with plenty of activities to enjoy and attractions to explore. Fontana is proud of its numerous recreational, sporting, and cultural opportunities, including those offered by the Art Depot, Center Stage Theater, and Auto Club Speedway. The city is also has 36 parks, 59 sports fields, highly-acclaimed recreation and sports facilities, state-of-the-art Lewis Library and Technology Center, and Pacific Electric Trail. The nearby mountains offer plenty of chances for adventurers to enjoy a little outdoor fun like mountain biking, hiking, and climbing. 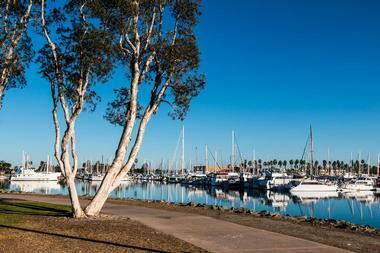 Oxnard is a coastal, Southern California city that is situated between Ventura to the north and Malibu to the south. Travelers visiting Oxnard will have the chance to experience the city’s idyllic location, white sandy beaches, friendly accommodations, downtown attractions, award-winning festivals, outdoor adventures, and Channel Island National Park – 11 miles offshore. Oxnard offers a large variety of fun activities for visitors to enjoy, some of which include surfing at Oxnard State Beach, exploring exhibits at the Mullin Automotive Museum, and enjoying boat tours around the Channel Islands. Travelers who are searching for some of the most beautiful and remote beaches in the United States need look no further than this seaside community. Located in Riverside County, and part of the San Bernardino-Riverside Metropolitan Area, Moreno Valley is situated at a unique geographic crossroad. To the east of the city, visitors will find the Coachella Valley and San Gorgonio Pass; to the south, the San Jacinto Mountains and Lake Perris. To the north, they’ll find the San Bernardino Mountains and San Bernardino Valley; and to the west, the city of Riverside, as well as Orange and Los Angeles Counties. The city features a few fun and interesting attractions for visitors to explore, including the March Field Air Museum, Box Spring Mountain Park, and a variety of shopping centers. 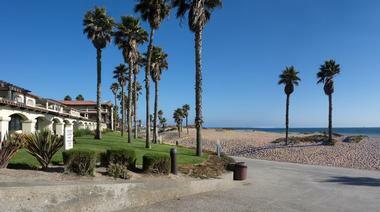 Located south of Los Angeles, Huntington Beach is known for having some of the best surf beaches in Southern California. During the warmer months, visitors and locals will find it quite difficult to avoid lounging around on the city’s pristine beaches all day, taking in views of the beautiful Pacific Ocean. Sprawling Huntington Central Park features lush gardens, open fields, lakes, and an equestrian center. The International Surfing Museum has several exhibits that display historic longboards and other surfing memorabilia. When visitors work up an appetite at Huntington City Beach, they can head to the Huntington Beach Pier where they’ll find the iconic Ruby’s Diner serving up American comfort fare, shakes, and more. Situated within the Verdugo Mountains, Glendale is a Southern California city that is located minutes from Universal City, Hollywood, Burbank, Pasadena, and downtown Los Angeles. The city’s economy relies heavily on the financial sectors, retail services, and a modest manufacturing component. The surrounding mountains provide a variety of hiking and equestrian trails, as well as hilltop lookouts for outdoor enthusiasts to enjoy. 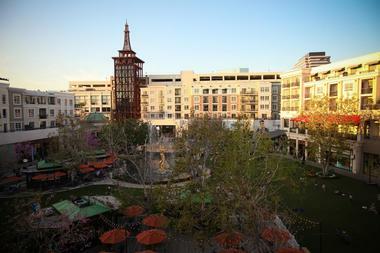 For some premier shopping, visitors should check out The Americana at Brand and Glendale Galleria. The Forest Lawn Memorial Park, Brand Park, and Deukmejian Wilderness Park, are all must-visits. The Museum of Neon Art displays vintage neon signs, plus light-based, electric and kinetic art installations. Home to Six Flags Magic Mountain theme park, Santa Clarita is located approximately 33 miles northwest of Los Angeles, California. Six Flags features shopping, dining, live entertainment, kids’ rides, family rides, and thrill rides that include the BATWING Coaster, Dare Devil Dive, Mind Eraser rollercoaster, and SUPERMAN: Ride of Steel. During the warm summer months, vacationers can cool off at the adjacent Six Flags Hurricane Harbor waterpark, with its refreshing wave pool and tall, twisting slides. Not to be overlooked is the William S. Hart Museum & Ranch, The Gentle Barn, and Gibbon Conservation Center. The Vasquez Rocks Natural Area Park features prehistoric stone formations that have made their way into the backdrops of many films. 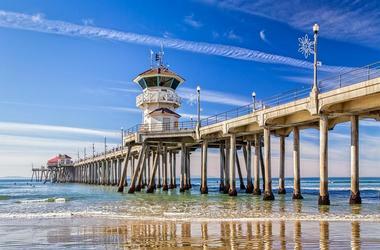 Oceanside is a coastal, Southern California city that is located nearly halfway between San Diego and Los Angeles. The city is known for the Oceanside Harbor and Village, with its beautiful marina and many unique shops. It’s also recognized for its palm-dotted Harbor Beach and Oceanside Pier that juts way out into the sparkling Pacific Ocean. Visitors can explore the history of surfing at the California Surf Museum, which features several exhibits on various famous surfers, along with a large collection of surfboards. Vacationers will want to make it to the bustling Oceanside Sunset Market and Oceanside Farmers’ Market, as well as the Oceanside Museum of Art.